What do you get when two heavyweight kingpins exchange leather? Well, one took home a souvenir. Daniel Gallemore receiving treatment for a broken nose. 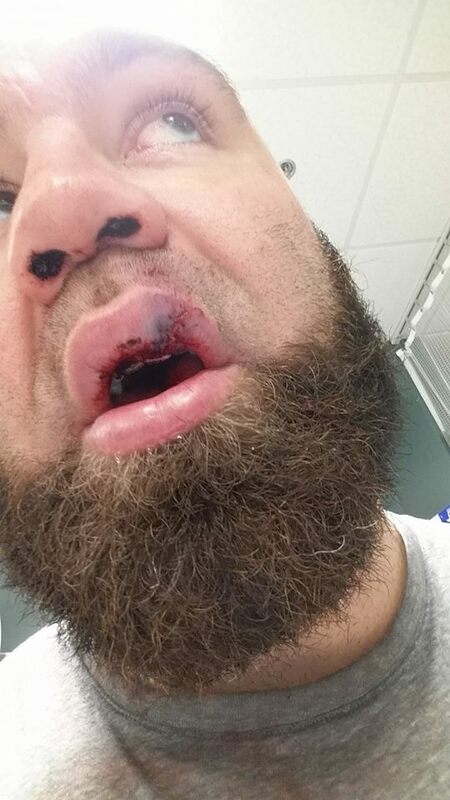 Victory Fighting Championship heavyweight champ Daniel ‘Big Kansas’ Gallemore (6-3) was training with good friend and training partner, UFC heavyweight Travis Browne (18-5-1) earlier today when Gallemore suffered his seventh broken nose. Gallemore states that it was just another day at the gym and no malicious intent. Surely when you compete in mixed martial arts, accidents and injuries are going to happen. “Travis dropped me off at the hospital, and he is picking me up,” Gallemore tells MyMMANews. Unfortunately for Gallemore he will likely be unable to spar for several weeks. “I’ll be good in six weeks,” Gallemore said. 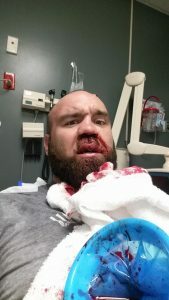 “8 stitches total, 3 different splits. Only see 2, the rest are inside my lip. Fun stuff,” the champ said. The Victory FC champ won the title from Abe Wagner at VFC 50 in May 2016 via first round submission. He then successfully defended and retained the strap in December at VFC 55 via first round TKO over Derek Bohi. As for Browne, he headlines UFC Fight Night 105 in Halifax, Nova Scotia, Canada on February 19. His opponent, Derrick Lewis. The card airs on FS1. Get well soon Big Kansas. Next The Iron Lady: Who is UFC 208 headliner Germaine de Randamie?